After attending mass for the Assumption of the Blessed Virgin Mary, we battled heavy rains and fierce winds to have dinner at Dhaba. It was indeed a stormy night, great for something spicy like a curry. I was also craving for Indian food too. When we arrived, the restaurant was really quiet as it was stormy and I am guessing not many people are willing to go out for dinner on a cold, stormy night. The service was quick and efficient. Not long after we were seated, we placed our orders as we were also very hungry. We decided to share our dishes too. Our waitperson also brought some complimentary Papadum to our table. 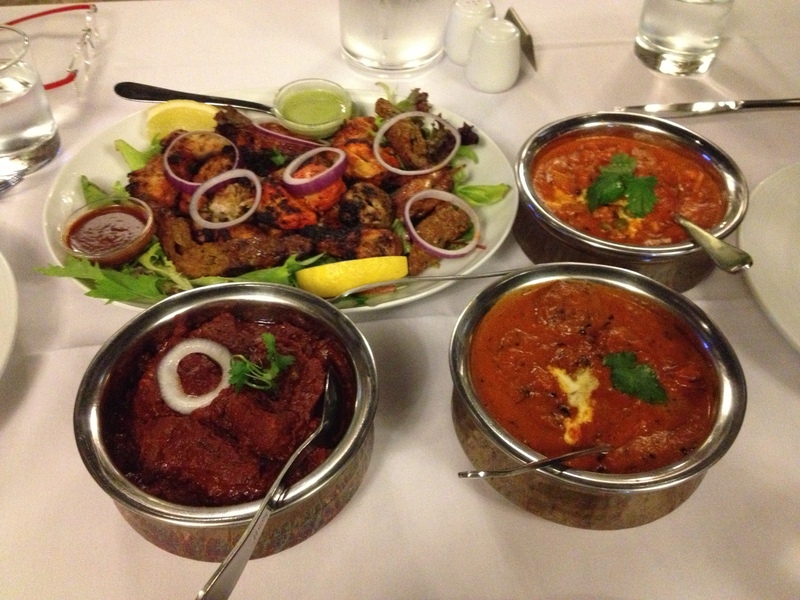 We ordered the Tandoori Mix Platter ($33.95), Butter Chicken ($21.95), Lamb Vindaloo ($21.95) and Vegetable Makhni ($17.95). The tandoori mix platter came with a generous portion of tandoori from chicken, sausages to fish and it was delicious! My favourite all-time Indian dish is Butter Chicken and in Dhaba, the Butter Chicken was cooked perfectly and the tomato and butter sauce was rich and creamy. For all those who likes their curry to be extremely spicy, I recommend ordering the Lamb Vindaloo. I found that the Lamb Vindaloo was tasty but it was very spicy and definitely has a kick to it as it was cooked with red chilies. If you can’t take that level of spicy-ness, you can try eating the Lamb Vindaloo with some rice or yoghurt to reduce the spicy level. The Vegetable Makhni comprises of assorted vegetables in a tomato based sauce. 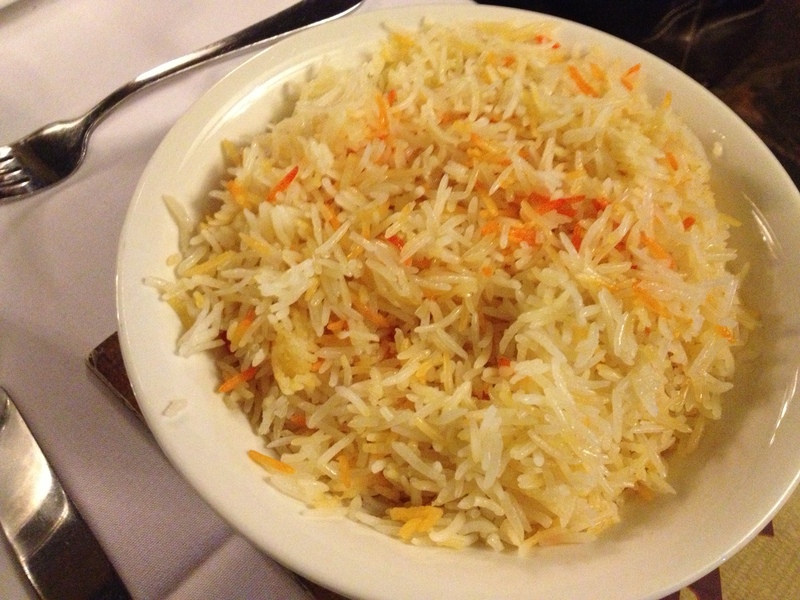 Just like the other dishes, it was full of flavour and blended well with the Briyani rice and Garlic Naan. 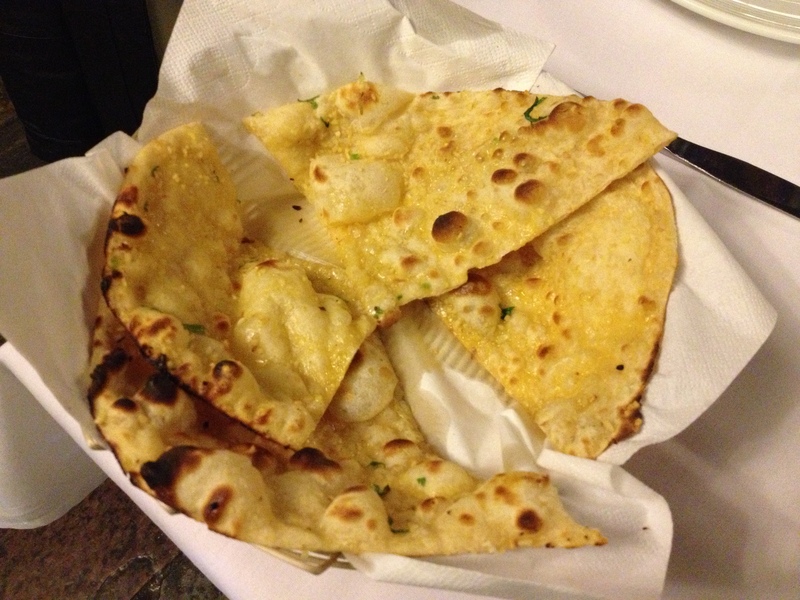 We also ordered some Garlic Naan ($4.50) and Plain Briyani Rice ($7.50). 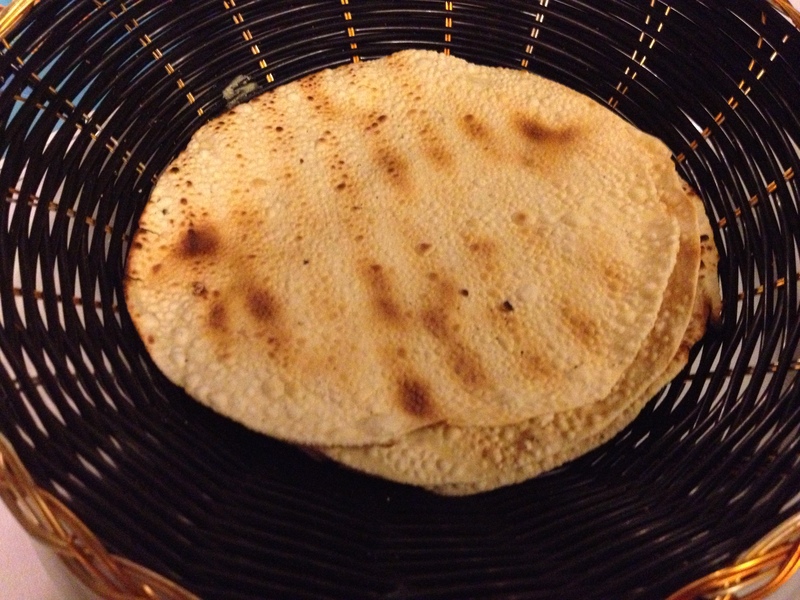 The garlic naan was tasty and the briyani rice was cooked perfectly and was fluffy. Both complemented the curries very well. Overall, we had a very satisfying dinner at Dhaba despite the stormy weather. Would highly recommend Dhaba to others for their yummy curries and spicy Vindaloo. We will be back soon!